November 11th is the 315th day of the year (316th day in leap years) in the Gregorian calendar. There are 50 days remaining until the end of the year. On this page, we have placed information about November 11th, including famous people born on, historical events that occurred on, holidays and observances that fall on, and astrological connections of, this day. 1831 Nat Turner is executed for leading unsuccessful slave rebellion in Southampton, Virginia. 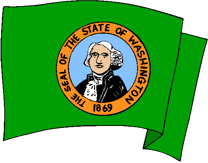 1889 Washington is admitted as the 42nd US state. 1918 Germany signs an armistice ending World War One. 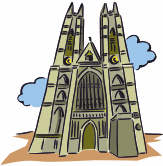 1920 The Unknown Warrior is buried in Westminster Abbey. 1965 Rhodesia makes a Unilateral Declaration of Independence from the UK. 1970 Sesame Street is first broadcast. 1986 Unisys created by the merger of Sperry Rand and Burroughs. Veteran's Day (USA) - Previously known in the US as, and still known in other countries as, Armistice Day.